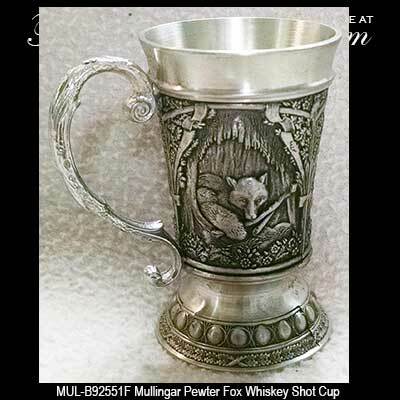 This Irish shot glass features woodland designs on its three panels that are embossed with foxes. 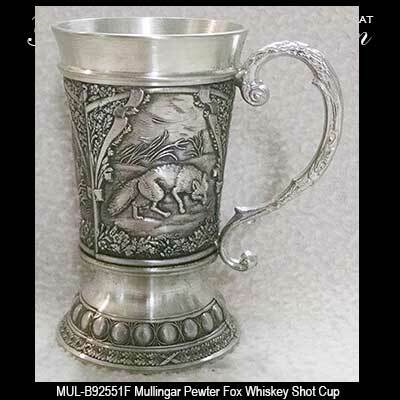 The pewter shot glass measures 2 1/2" tall and will hold 1 1/2 ounce of whiskey. 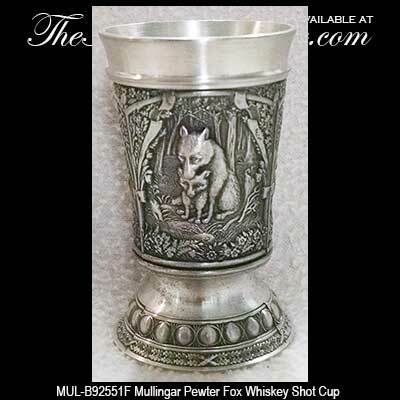 The fox shot glass is made in Ireland by Mullingar Pewter and it is gift boxed, complements of The Irish Gift House.